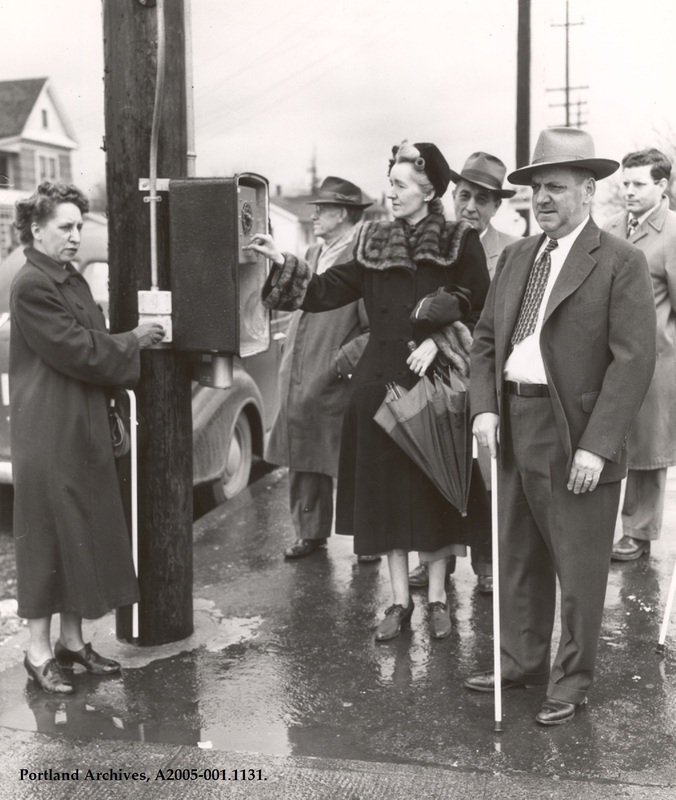 Mayor Dorothy McCullough Lee (center) with group, including individuals from the Blind School, crossing at NE 82nd Avenue and NE Glisan Street, 1950. Traffic Engineer Fred Fowler is immediately behind the Mayor. City of Portland (OR) Archives, A2005-001.1131. 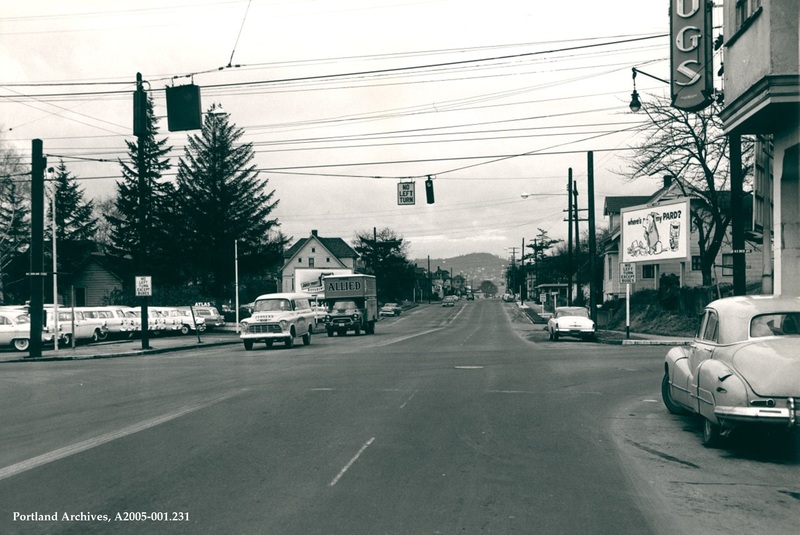 NE Glisan Street at NE 28th Avenue looking west, 1956. City of Portland (OR) Archives, A2005-001.231. 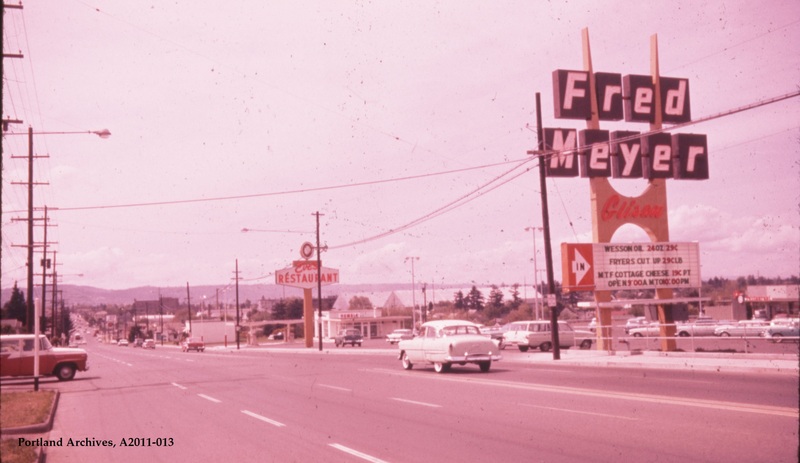 NE Glisan Street and NE 60th Avenue looking west, 1963. 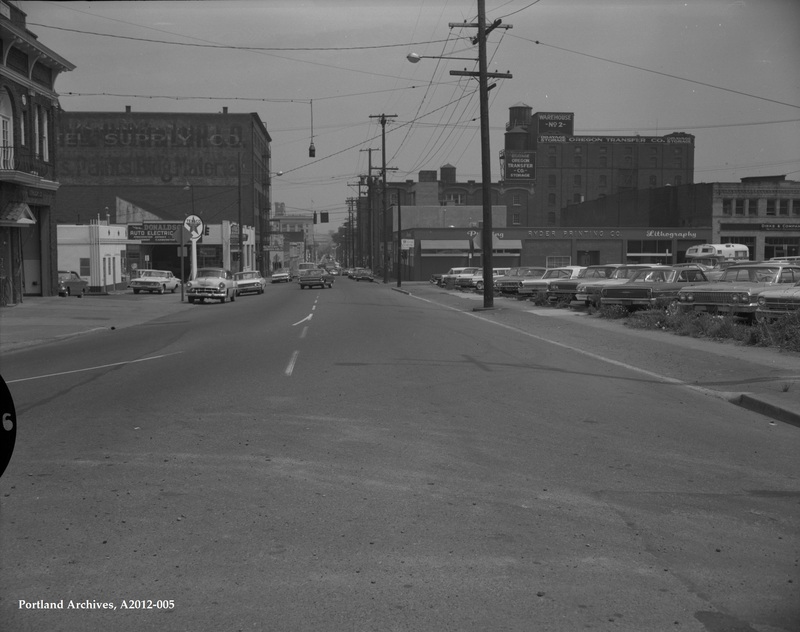 City of Portland (OR) Archives, NE Glisan St and NE 60th Ave looking west, A2011-013, 1963. 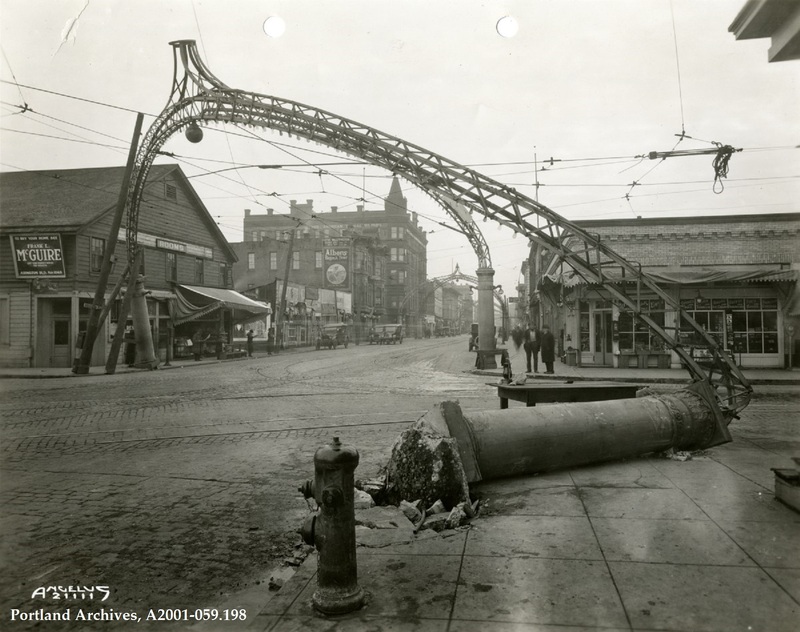 Damage to the lighted archway on the corner of NW 3rd Avenue and NW Glisan Street, 1920. City of Portland (OR) Archives, A2001-059.198. 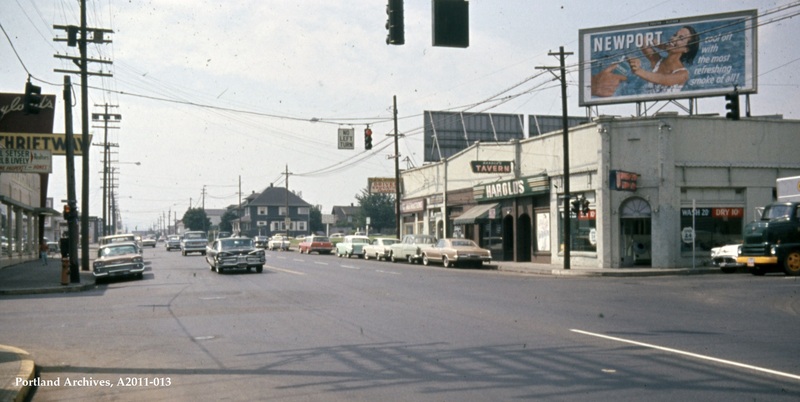 NE Glisan Street near NE 65th Avenue looking west, 1962. City of Portland (OR) Archives, NE Glisan St near NE 65th Ave, A2011-013, 1962. NW Glisan Street looking east from NW 14th Avenue, 1967. 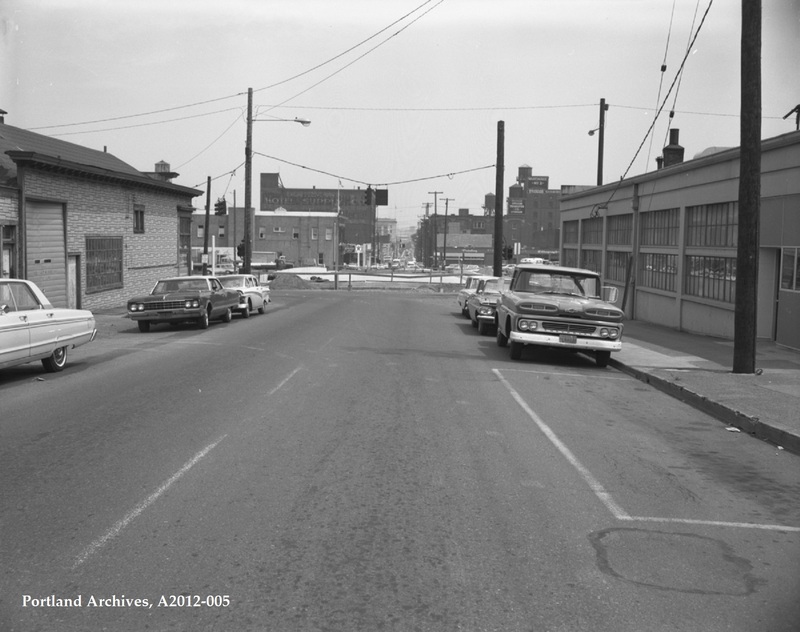 City of Portland (OR) Archives, Street widening on NW Glisan St, A2012-005, 1967. NW Glisan Street looking east from NW 16th Avenue, 1967. City of Portland (OR) Archives, NW Glisan St looking east from NW 16th Ave, A2012-005, 1967.